Carpet cleaning can be a difficult task if you are often too busy to do it yourself. Even if you do DIY cleaning, chances are high that you would leave dirt embedded in the carpet fibres. Thus, you would be best hiring our Kensington WA 6151 workers. But why should you trust us? First, you can entrust your work to us because we have trained experts. Our workers are so experienced that they cannot damage your high-end carpets and rugs. If you have only been vacuuming your carpets, it is important to have them deep-cleaned by us. We promise to do a thorough job and charge you a competitive fee even if you have many carpets and rugs to clean. There is not much we expect you to do prior to our arrival. Simply remove your valuable staff from all carpeted rooms. Once you do this, our team will remove your heavy furnishings from each room. Later on, the team will rearrange your rooms just as they found it. As well, make sure that you fulfil your part of the deal. Book and pay for the service according to our plan. The rest will follow smoothly. The first thing that our Kensington WA 6151 staff workers will do once they arrive is to conduct a thorough inspection of your rooms and carpets. This will enable them to locate heavily soiled areas and lightly soiled areas. As well, they will be able to conduct spot-tests on carpets and rugs to know the best cleaning detergents to use. One thing you should know is that we follow the green cleaning rules and are keen to use harmless cleaning solutions. Once our workers are done inspecting, they will hold a discussion with you to brief you on how the clean-up procedure would be done. After this, the team will remove furniture from the rooms, although they might avoid moving oversized items like a cabinet or a piano. This will allow them to carry out the cleaning process by first pre-treating the carpeting to remove stains. The hot water extraction method will be used to extricate dirt from the carpeted area. It is an expensive machine that offers the best deep cleaning results. The steam machine requires skilful persons to operate it and that’s the only way it can produce excellent results. After thorough cleaning is over, our professionals will deodorize or protect your carpets. This can only be done on request, as some customers don’t prefer it. We would recommend it because it creates a barrier that prevent dirt from embedding on the fibres too soon. Finally, our Kensington WA 6151 workers will move the furniture back to the rooms while making sure that they are placing protective pads underneath. If your upholstery is soiled, don’t worry about it. We would be happy to assist you clean it. Our high quality services are known all over Kensington WA 6151 area. This is just because we are thorough, affordable and easy to work with. Even if your schedule is so tight every week, we will discuss and see when the best time to clean your upholstered furnishings can be set. Since we provide world-class cleaning services, you can trust our professional work. Knowledge and advanced technology cleaning tools go hand in hand. Hence, you can rest assured that our team is the best you can hire in Kensington WA 6151 region. Our customers are happy with us because we portray a high degree of professionalism everywhere we go. Our highly advanced cleaning tools also enable us to provide excellent results. We use them correctly too, to ensure that we protect your fittings. Our deep knowledge and skill of cleaning upholstery items will amaze you. We won’t turn down any project because the upholstery fabric is unknown to the client. Our crew are thoroughly trained, certified and licensed to offer a full-fledged upholstery cleaning service. Thus, they are able to know what’s needed to clean every kind of upholstery fabric. 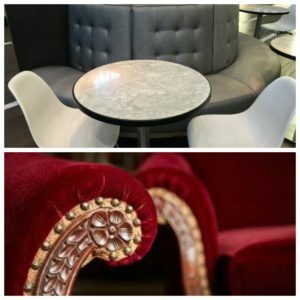 Whether you have leather chairs and sofas, or fabric ones, we can offer the most outstanding clean-up service. Our machines have soft bristles that don’t scratch the upholstery fibres. They are so smooth that they do fold the fibres too. Instead, the brushes are known to protect the fabric or leather from tears and scratches. The reason why you need us is that our cleaning method and equipment allow us to reach the deepest layers of the upholstery. Thus, we are able to extract dust, bacteria, allergens, pests and stains. Our whole process doesn’t take long, on average, but it depends on the amount of work you requires us to do. We are well aware that your home is where your family lives. Hence, we pick our cleaning detergents carefully to keep everyone clean. Our eco-friendly cleaning solutions are risk-free as they consist of harmless ingredients. As well, our Kensington WA 6151 cleaners use ingredients that do not discolour your upholstered fittings when removing stains. Even the most stubborn and resilient stains will be dislodged. The final rinsing process will rinse out all the extracted dirt and washing detergent. If you want us to protect or deodorise your sofas and chairs, just ask. Our process is transparent and we have no hidden agendas. The whole process of our professional tile and grout cleaning service is harmless and effective. We use hot steam to extract dirt from grout lines and the tile itself. Hence, you can entrust us with the toughest cleaning job you have. Perhaps you have dealt with a company that used potentially harmful chemicals to deep-clean your tiled surfaces. We would like you to know that we are one of the safest businesses to use in Kensington WA 6151 area. Our services are so great that they are preferred to those of our competitors. We often use this technique to clean tiles because it is effective at removal of bacteria, stains and dirt. It does not leave behind chemical residue and fumes. We use it along with a range of cleansers. First, we avoid using acidic cleansers that are often made of sulfamic or phosphoric acids. While they can do a thorough cleaning job, acidic cleansers can erode the grout and reduce its life. As well, it could generate poisonous fumes when being used. Hence, we might use alkaline based cleaners if you have a well-ventilated house and fan. But this is if you prefer it to steam cleaning. Alkali cleansers can release fumes too, as they contain bleaching solutions. Our top method is steam cleaning and our Kensington WA 6151 experts use it together with eco-friendly cleaning solutions. It removes dirt and germs from the grout lines without triggering fumes. After cleaning your tile and grout thoroughly, the next activity would be sealing. It will be a necessary task if our crew discovers that your grout sealing is damaged. Our grout sealant is very special that you will hardly find it in the mall. It penetrates deep where it forms a robust seal and barrier. Unlike your typical topical sealant, this one is not ruined by frequent foot traffic. It remains strong no matter how many times it is stepped on. What’s more, it is a product that best protects your floor from cracking and chipping than any form of paint. If you want us to customize your grout lines to any suitable colour, simply ask us. We have colour sealants that are easy to maintain and can add to the beauty of any tiled surface. If your tiled floor area is big, we might require a whole day to clean and seal it. This is because we have let the sealant dry before we can let you walk on it. If you are anywhere in Kensington WA 6151 region, feel extremely free to call us for instant assistance. 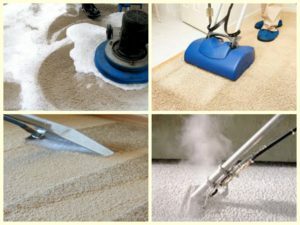 So far you know that we are the most reliable carpet cleaners, upholstery cleansers and tile and grout cleaners. If you want to hire one company that can do all the three activities at once, without compromising quality, hire us today. We get regular clients because we use highly-trained workers who will not hesitate to give an excellent service. Also, we are easy to deal with, and our service is customizable. Whenever you need the best Kensington WA 6151 service provider, give us a call. You could also write us an email and we will respond to it quickly. Our pricing is the fairest available and our results are thorough and great. Call us on 0424 470 460 to book carpet cleaning, tile and grout cleaning, upholstery cleaning and other cleaning services in Kensington WA 6151.